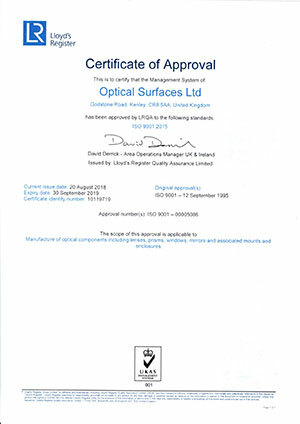 Optical Surfaces Ltd’s ISO 9001-2008 approved manufacturing facility provides the flexible resources to supply from single specialist requirements to OEM quantities. All high precision optics are provided with a complete quality test assurance report. 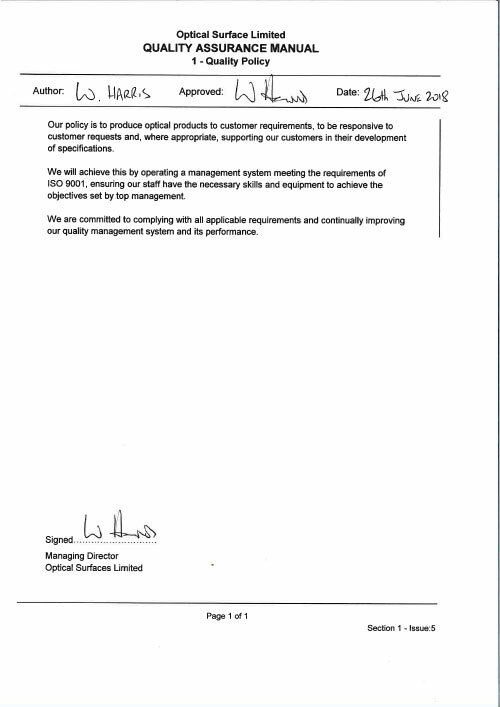 To ensure the contamination-free status of its high precision optics – Optical Surfaces clean room facility enables elimination of airborne contaminants from the company’s final assembly and inspection area, thereby guaranteeing the highest quality product is delivered to its customers.